In September 2008, we went Mac. Since then, I've been very happy with my experience, except for one thing. Apple couldn't build a good mouse if their life depended on it. 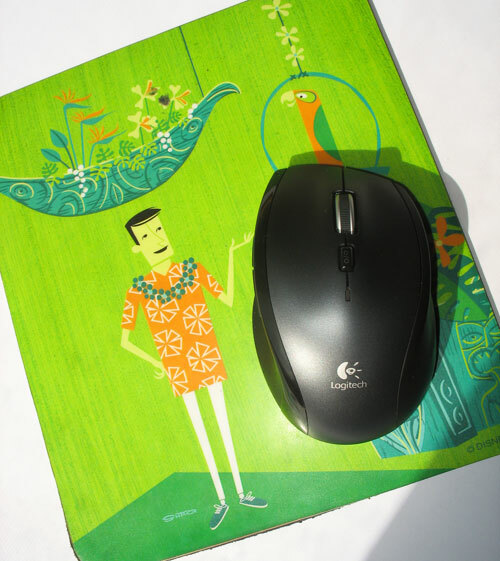 Tiki Gods Say: Begone Apple Mighty Mouse, Aloha Logitech! My iMac came with the Apple Mighty Mouse, this stupid looking thing with a tiny trackball. On the plus side, it was Bluetooth-compatible, thus I didn't need any extra wireless USB receivers to make it work. On the downside, it really sucked up battery power. I constantly found myself recharging the batteries. It featured Apple's "innovative" design of a single button on top, but with different pressure points to differentiate between left and right clicks. I really liked the programmable side buttons on the mouse, which were helpful if you're a power user. On the other hand, that trackball on top was the downfall. It's not removable and pretty much impossible to clean, meaning it often got stuck and refused to scroll. I hated that thing! To top if all off, while ambidextrous, that mouse was not ergonomic at all. After a long day of using the machine, my hand and wrist were quite sore. After a while, I just stopped using it and pulled out an old mouse from my PC days. Even a crappy old Microsoft Mouse was better than Apple's device. 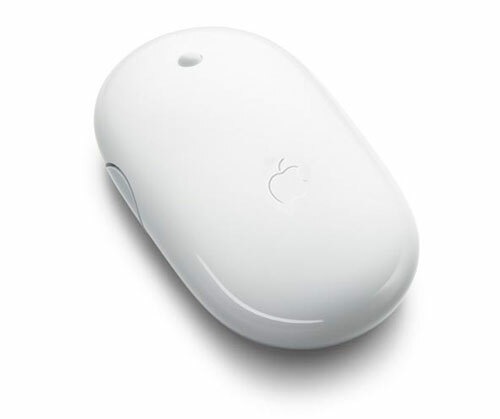 Apple eventually phased out the Mighty Mouse in favor of their new toy, the Magic Mouse. The buzzword for this thing was "multi-touch." I tested it out a few times at the Apple Store. Excuse me, but I have no interest in navigating my computer using the device equivalent of an iPhone. The thing has no buttons on it and is all touch sensitive. Per Apple, "the multi-touch area covers the top surface of Magic Mouse, and the mouse itself is the button. Scroll in any direction with one finger, swipe through web pages and photos with two, and click and double-click anywhere." Yeah, that sounds like tons of fun. However, it has no side buttons and is pretty much like keeping your hand on an upside down coffee saucer. And good luck getting center button emulation working. Are you kidding me, Apple? 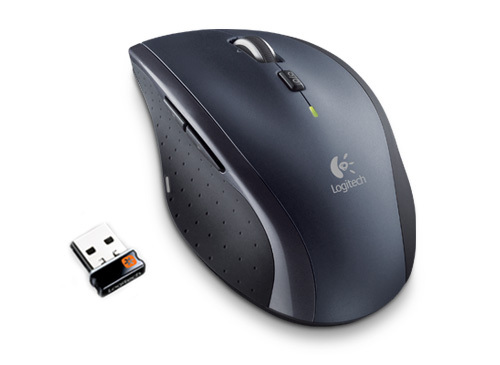 After much searching for a replacement, the mouse I'm falling in love with is the Logitech Marathon Mouse M705. No, it's not Apple "white" in color. But unlike Apple's product, it's actually good. First of all, it's ergonomic (unless you are left-handed) and really comfortable. It's not Bluetooth, but the USB receiver it uses is amazingly small. Having been working with it for a few weeks now, I've been very impressed by the power consumption. It's efficient. Unlike the Apple products, it actually features real buttons! Sometimes, that tactile feeling can't be beat. It comes with left and right buttons, as well as a center clickable scroll wheel that also can be tilted left and right to navigate on a page. The wheel itself is pretty awesome in that a button can switch it between regular scroll to freewheeling with no resistance. The Logitech device also features 3 programmable side buttons. There's a hidden thumb button which is great for application switching, as well as a forward and back set of buttons which can be setup to perform a number of tasks. Can't do that on Apple's Magic Mouse. I'm really happy with this purchase. It was only $30 via Amazon, but it's made my workday so much more enjoyable!